I’m Not Anti-Materialism; But Why Don’t You Save The Economy? Since this economy started tanking, there has been a sudden rush to a different lifestyle for some Americans. People are spending less money, trying to live a little less complicated, maybe re-setting some priorities. Saving money, as well. I have to admit, seeing the mad scramble to a simple life makes me smile, at times even chuckle. This new breed of American consumer is now trying to adopt a life and financial style that I have been fortunate to observe most of my years: it was the normal way the majority of my older family members operated their entire lives. I could just spotlight on my grandparents in this post. But it wasn’t just my Nonna and my Pop that lived the so-called frugal lifestyle. Nope, it was also their brothers, sisters, cousins, aunts, uncles, and friends. Every one of them, with maybe one or two exceptions, was financially responsible and focused on their relationships and experiences rather than material goods, while chasing the good life here in the USA. Fellow blogger Vince Scordo published a wonderful article detailing how Italian American immigrants used methods other than material things to feel an element of wealth in their lives . Like his examples, many of my relatives and friends found their luxuries in the food they prepared, ate, and shared with others. My grandparents always worked hard enough to afford themselves some of the finer things in life. But things like clothes, cars, gadgets, or dinners outside the home were never high on their priority list. They were more interested in their work, family, and their home. Oh yeah, and the food. My family’s food was and is central to their existence. Always high quality, home made, and eaten with the people we loved. Some of my fondest memories of time spent with my grandmother (and more recently, my great aunt) were helping to prepare meals, eating them, having a glass of wine, and when I wasn’t helping, I was observing . At the other end of the spectrum, I know people outside of my family circle that own big houses, multiple vehicles, have ample sums of money, and they eat fast food because of the illusion that it’s quick and cheap. That’s where they prefer to save their money. On the food they put into their bodies. Can that possibly be the new definition of insanity? As for myself, in this day and age, there are a lot more temptations to spend now than say, twenty years ago. Who hasn’t at one time or another, desired the high end Blackberry or a 50 inch LCD flat panel? We all do. But things are not usually high on my priority list. Unless they are related to a kitchen remodel, but that’s for another post. I’ll take some grief occasionally for not having a cell phone, driving a Cadillac that can only be described as vintage, or for still enjoying a 27 inch television that we got for a wedding gift so long ago. I simply don’t care about a lot of this stuff. I’m apathetic. I’d rather spend my time doing, and thinking about, other aspects of my life. The food is one of them. When my wife and I prepare a meal together, and then sit down to eat with our kids—I really believe I am partaking in one of life’s true luxuries. These days, a lot of Americans seem to agree with this way of thinking. But will this new way of perceiving the lifestyle stay entrenched in our culture? I don’t think so. When the economy is back in high gear, people will become less fearful—and go back to their credit card slingin’, high spending ways. And you go right ahead. Our economy is built on consumer spending, and it needs that spending to save it. So do your best. But, I will leave it to you to save our economy. I will continue on my path, the same path I learned from my grandmother for so many years. Not the one that goes to the stores, the coffee shops, and the car dealers. 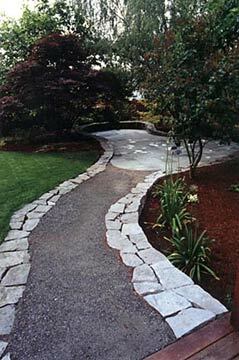 This path leads into your home, your family, your friends, and your beliefs. When I was younger, there was often a large party of people in my grandparents’ cellar helping my Nonna clean and cook bushels upon bushels of tomatoes for home canning purposes. I didn’t know it then, but I now know that I was watching the good life in action. No accessories required.